Shaped by thousands of years of glacial movement, the Beartooth Mountains are comprised of Pre-Cambrian granitic peaks and plateaus, mountain meadows, and trout filled lakes and tarns. Bordering the northeastern corner of Yellowstone National Park, the Beartooth Mountain Range is home to the tallest peaks in Montana. Granite peaks and plateaus are ideal for hiking and climbing in the summer months, cross country skiing and back country touring during the winter months. The Beartooth Highway offers scenic vistas as well as access to trailheads during the summer months, and is groomed for snowmobiling during the winter months. Just north Yellowstone’s vast Lamar Valley, the majestic Beartooth Mountains tower into southern Montana, with numerous peaks rising over 12,000 ft including the state’s tallest, Granite Peak. Named after a particularly pointed and jagged peak aptly titled the Bear’s Tooth, the Beartooth Mountains reside atop the massive Beartooth Plateau which is one of the largest landmasses in the United States above 10,000 feet. Traveling through the Beartooths, one is likely to encounter grasslands, montaine, sub-alpine, and arctic tundra ecosystems. These unique characteristics provide habitat for nearly four hundred plant species, giving this mountain range more flora than any other in North America. The majority of the Beartooth Mountains are protected as part of the Absaroka-Beartooth Wilderness, although part of the range lies outside the wilderness boundary, providing snowmobiling and ATV opportunities. An extensive trail system provides access to hikers, anglers, horse pack parties, and climbers. While the Beartooths can be accessed via Billings and Bozeman Montana, Red Lodge and Cooke City are nestled closest to these mountains. The scenic Beartooth Highway, which is usually open from Memorial Day weekend into mid-October connects the two towns with a 69 mile road that traverses the Beartooth Plateau. There are scenic overlooks as well as access to trailheads from the road. A Red Lodge restaurant advises, "come visit soon, the summers just aren’t long enough". Spring is often a mix of wintery conditions with scattered sun shine that extends into May. 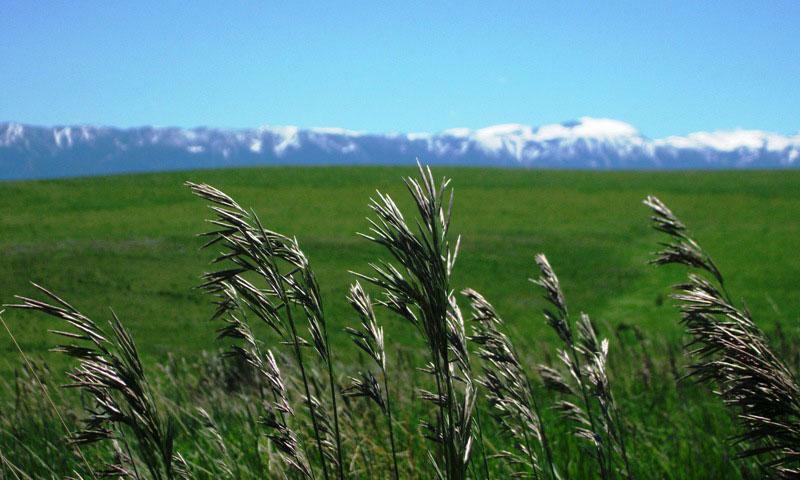 By mid-June, the snow is well on its way out, and the temperatures are warming up. Summers are near perfect in the Beartooths, albeit short, with mild daytime temperatures ranging from 50-85 degrees and the evenings cool enough to prevent the need for air conditioning. July through mid-September often exhibits the warmest and driest conditions, and even then, temperatures can fluctuate 40 degrees in a 24-hour period. Afternoon showers accompanied by gusty winds are common during the summer months. The moral of the story; Always pack warm clothes, even on the short hikes. By the end of September, the many groves of Aspens begin to put on a golden display. Fall doesn’t last longer than a few weeks, although it can be a great time to hike in the Beartooths without having to cross streams and snow banks. The snow usually starts falling in late October and early November. The true winter season generally runs from December through March, ideal for experiencing the Beartooth’s spectacular winter scenery. Though the Beartooths receive their fair share of snow, winter days are often sunny and the infamous Chinook winds occasionally blow through bringing warm wind and milder temperatures with them. 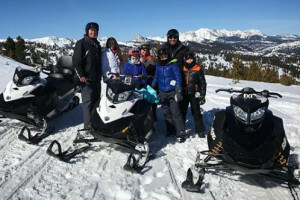 Winter: During the winter months, 32 miles of groomed and 34 miles of non-groomed snowmobile trails on the Beartooth Plateau provide plenty of adventure for the fast paced sports enthusiast. Complete services are available in both Cooke City and Red Lodge. For those who want to take it a bit slower, there are dozens of trails within the Beartooth Wilderness for cross-country skiing and snowshoeing including the Lake Fork trail in Black Canyon which offers two loops of 3 and 7 kilometers. The Silver Run trail has four loops of 4, 7, 11 and 15 kilometers. Black Canyon also provides back country ski touring access. Mystic Lake – The largest lake in the Beartooth Mountains, the 7 mile easy to moderate trail crosses the spectacular East Rosebud Valley, and offers views of Emerald Lake, West Rosebud Canyon and surrounding peaks. From Mystic Lake, another 14 miles takes you to the base of Granite Peak. Hell Roaring Plateau – A six mile stroll through a beautiful alpine valley passing a string of 14 lakes to the vast 10,000 ft tundra that feels like the top of the world. Lady of the Lake – four miles out and back will take you to a 43 acre lake at the base of a forested cirque that fills with wildflowers during the summer months. From here, the more strenuous hike to Aero Lakes is accessed. If you are the angler type, many of the Beartooth’s glacial lakes are filled with several different trout species and the elusive arctic grayling. Stopping into a local fly shop should precede any fishing expedition as some of these lakes don’t carry fish due to winter freezing. The Beartooth Mountains offer picturesque vistas filled with hundreds of lakes and impressive peaks. Don’t forget your camera or your bug juice. Permits are required for snowmobiling, and back country travelers should check in at the ranger stations.